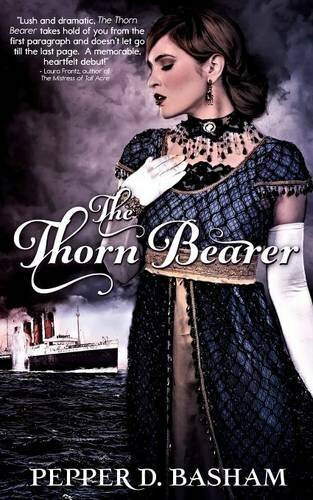 From the decks of the ill-fated Lusitania to the smoke-filled trenches of France, Ashleigh must choose between the forgiveness of her past, life in the present, and a Savior who can rescue her from them all. When her fiancé leaves her eight months before their wedding, the unexpected blow ignites a battalion of insecurities stemming from her father’s intimate betrayal. Her worst fears are confirmed – who could ever love a soiled woman? In an attempt to escape the shame and disappointment of her past, Ashleigh boards the ill-fated Lusitania to cross the war-torn waters of Europe. Much to her dismay, she isn’t traveling alone. Sam Miller is always making up for his best friend’s mistakes. Determined to help Ashleigh, he offers his compassion and protection as she ventures across a perilous sea. With the faint hope of renewing his lost love for Ashleigh’s sister, Sam never expects to find the woman of his dreams in his best friend’s former fiancé and his own childhood companion. As they travel across the Atlantic, neither is prepared for the life-altering and heart-breaking journey of their friendship. When the truth of Ashleigh’s past explodes in the middle of war and Sam rejects her, Ashleigh must decide if God is enough – or if the double weight of her betrayal and past will crush her life forever. I thought this book was very engaging. I loved that some of it took place on the Lusitania, I really liked the romantic setup between Ashleigh and Sam, and I was constantly turning pages. My only negative point with this one is that at the end, the drama felt a bit contrived and I felt like it could have ended sooner. Two lives taken down different roads – one enduring love – one shot at starting over. If only they believed in second chances..
Julia Connelly is finally free from twelve long years in an abusive relationship. Now able to live the life she’s longed for, Julia takes her two children back home to Vermont, hoping for peace and healing. The last person she expects to see is the man she eloped with at eighteen—who then abandoned her two months into their marriage, with little explanation. . When an assignment in the Middle East ends in tragedy, popular news correspondent, Reid Wallace, returns to his hometown seeking answers and peace of mind. . Confronting his past was not in the plan. .
Now he’s asking different questions. Like why the only woman he’s ever really loved still mesmerizes him. Why the haunted expression she wears reaches right into his soul. .
And why her twelve year-old son looks just like him. . They say you can’t go home again. Sometimes you don’t have a choice. Catherine West is another fabulous storyteller who had me immersed in a novel that I did not want to put down. I will say that the premise is slightly familiar, but that didn’t matter because most of the characters were awesome and completely pulled me in. My problem with this book was Julia. Anytime you hide a man’s child your reason had better be amazing. Her reason was not. And in the end she really just kept coming off as selfish. Every decision she made was based on her feelings, her pride, her hurt and rarely did she put her kid first. But fantastic writing as usual, if you start it you won’t want to set it down. Twelve years ago Matthew “the Rocket” Rising had it all. Married to his high school sweetheart and one of the winningest quarterbacks in the history of college football, he was the number one NFL draft pick. But on the night of the draft, he plummeted from the pinnacle of esteem. Falsely accused of a heinous crime with irrefutable evidence, it seemed in an instant all was lost–his reputation, his career, his freedom, and most devastatingly, the love of his life. 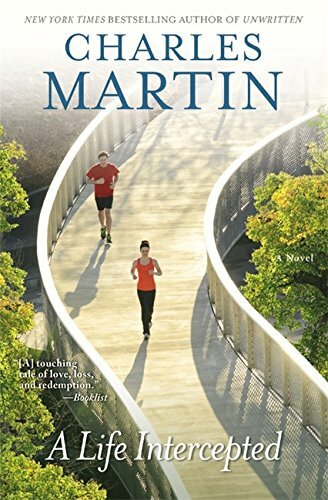 Having served his sentence and never played a down of professional football, Matthew leaves prison with one goal–to find his wife, Audrey, whom no one has seen since the trial. 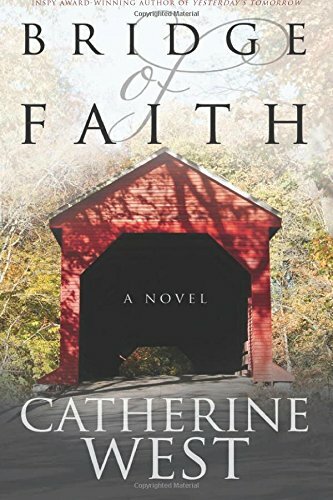 He returns to an unwelcoming reception from his Gardi, Georgia, hometown to learn that Audrey has taken shelter from the media with the nuns at a Catholic school. There she has discovered a young man with the talent to achieve the football career Matthew should have had. All he needs is the right coach. Although helping the boy means Matthew violates the conditions of his release and–if discovered–reincarceration for life, he’ll take the chance with hope of winning back Audrey’s love. Oh this book. No one can pull on my heart strings quite like Charles Martin can. His writing makes me want to write. The story is sad, but it never stays that way and I promise you will become super invested in the characters. The only problem I had (ok there were two) was that there was definitely a lot of football talk and me being not particularly sports-like, I pretty much skimmed those sections and the wife. On the one hand, I understood the wife, on the other hand, if I knew someone as well as she supposedly knew Matthew, there is no way I would give up on them like that. I just felt like she should have done more. But, as always, a top notch novel and am sorry it took me so long to read it. Next Post Monday Musings…Do You Trust Your Favorite Authors?